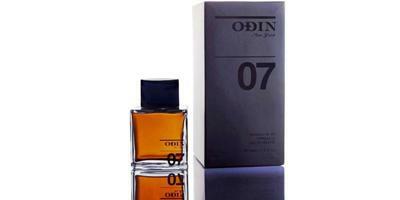 Odin New York recently released 07 Tanoke, a unisex fragrance. 07 Tanoke was developed by perfumer Corinne Cachen; the inspiration — coastal Northern California. Though it’s a ‘simple’ fragrance and I don’t have much to write about it, Tanoke 07 is my favorite of the Odin perfume line, and it’s been added to my “Must-Buy Perfume List; Category: Incense.” If there’s an opening in your incense perfumes slot, investigate Tanoke 07 (especially if, like me, you enjoy blunt-force incense aromas). Odin New York Tanoke 07 (100 ml Eau de Toilette, $125) has great lasting power and close-to-the-body sillage; it’s a unisex fragrance according to Odin New York but it possesses a "masculine" vibe (to my nose, anyway). Thanks for the review, Kevin. It sounds wonderful. I love incense and the ginger and bitter orange in this one are inviting me to give it a sniff. LadyM: hope you can test it soon. When you say “rich incense” are you talking a smoky type of incense? I love some incense when it is frankincense etc, but not the ones where it smells like you have been standing downwind of a very smoky fire for a few hours. This is my favorite from the Odin line too. I found some similarities between this and CdG Jaisalmer, which i love. Rictor: yep…it could easily fit into the CdG incense line-up. Something in your review, the “charred” aspect, I guess, sent me back to your review of Lonestar Memories-your descriptions of the two are not remotely similar, but is there anything to say about the comparison? Donnie: I don’t have any Lonestar handy…but it was “sweeter” than this and, a strange word to use with Lonestar!, more SUBTLE than 07 Tanoke. I think they’d layer well! I think there is a opening in my collection for blunt force incense ! The reference to the colour black caught my attention! Have never seen this fragrance in Sydney Australia , very curious to smell this one! Great review Kevin . Sinnerman: it’s hard to find here too…but easily ordered. Hope you can find some to sample. Oh gosh. This sounds wonderful and deep. Lemming bot created. Ah Kevin, you always make the stuff you like sound so darn good. Incense may be my favorite frag category, and deep, resinous incense is at the top of that heap, so I have an instant jones for this juice. Thank you for the new potential addiction! What is black musk? In other words, is it an actual note/compound made up of well defined notes (like “amber”), or is it the word “black” simply marketing? I love incense. This sounds right up my alley. Blunt force incense? Sign me up. Just the opposite for me. He had me until he said “blunt force.” I like my incense gentle.